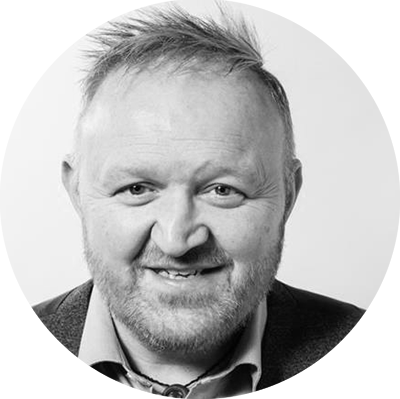 Perry Timms is a self-confessed obsessive about a better future for people at work and lives this through his role as Chief Energy Officer of his consulting enterprise - PTHR -and a range of networked partnerships across 14 countries. A global & TEDx speaker on the future of work, HR & learning, bringing his 25+ years experience in technology–driven change, organisation development & learning together with his active interest in alternative business models and self-organised ways of working. Perry is a Chartered Member of the CIPD, advises them on Social and collaborative technologies and is a fellow at Sheffield Hallam University and the RSA. Perry is also adjunct faculty for Hult International Executive Education at Ashridge Business School, an Associate with the Work Foundation, a Visiting Professor at GEA College Entrepreneurs Business School in Slovenia and a WorldBlu® certified Freedom at Work Consultant + Coach; helping organisations work in more liberated, democratic ways. In October 2017, Kogan Page published Perry via his first book "Transformational HR" which is made Amazon.com’s Top 30 seller in HR books at the end of 2017. Perry was also voted onto HR Magazine’s HR Most Influential Thinkers in September 2017. Pentru mai mulți participanți din aceeași organizație, acordăm un discount de grup. Session 1: What is Transformational HR? It's connection to business. HR, organisation design and people development faces some of its biggest challenges over the coming 5 years. With automation; augmentation and agility being three key challenges businesses of all sizes, sectors and specialities will face. How can HR show up and be adaptable in pursuit of continued relevance, enablement and fairness? It needs to transform. To be like no other form of HR before it. And this can be done in several ways, which this masterclass will help participants to learn and then deploy. Firstly, we'll be looking at our individual appetite, capability and choices to transform ourselves. We will use the Transformational HR book and it's focus on KQ - Knowing Quotient. A series of coaching style questions, analysis and deductions about how we transform at an individual level. Secondly, we'll look at how we, in HR and wider in our businesses, can transform collectively. Together, as a band of connected professionals. We will explore working in pairs, squads and how to use the best in agile and design thinking to craft a better way to work together. Thirdly, we'll look at the systems level of transformation. A new model for HR, and how we'll organise ourselves no matter the size of the team. Using the first two elements of individual and collective transformation, we'll create the responsive frame with which you can deliver the best strategic, tactical and just/fair HR to ensure people and their unique contributions to business success are aligned, engaged and fully appreciated. Split over 4 sessions (looking ahead; looking at ourselves; looking at our collective sense and looking at our systems) we will help you craft the strategy, plans and activities that will see you through the next 5 weeks; 5 months and 5 years to transform HR and create a metamorphosis in the business of people; through the people of the business. Whether you are a Chief People Officer, HR Director, Head of Learning, Lead Recruiter, Reward Specialist, Business Partner or Administrator, you will be able to take the findings of this Masterclass back to your teams, leaders, project groups and wider colleagues to bring about that metamorphosis.